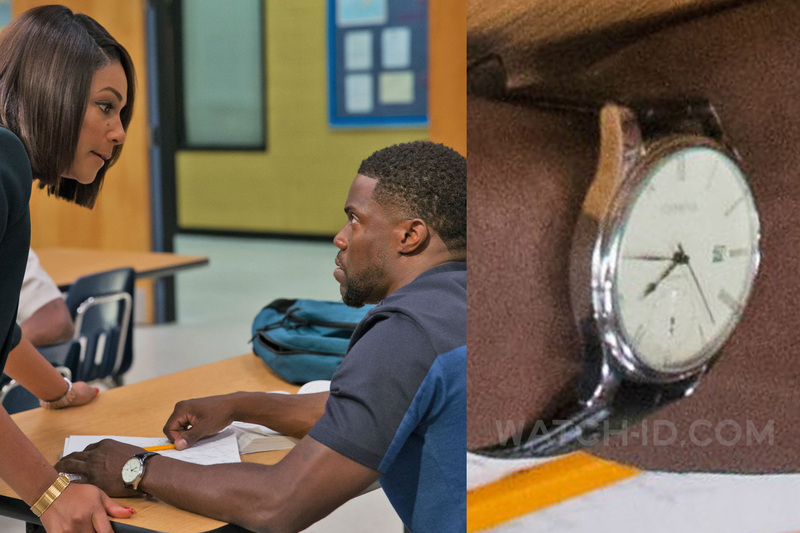 Kevin Hart wears a classic analog watch in the 2018 comedy film Night School. We haven't identified the watch brand yet. The analog watch has a steel case, white or cream dial with subdial, and a date window at the 3 o'clock position, and a black leather strap. The classic hands have a similar shape to some of the Seiko Presage watches. Co-star Tiffany Haddish wears an Apple Watch in the same film. In the film, Kevin plays Teddy Walker, a restaurant mascot, while Haddish plays Carrie, Teddy’s unorthodox teacher.